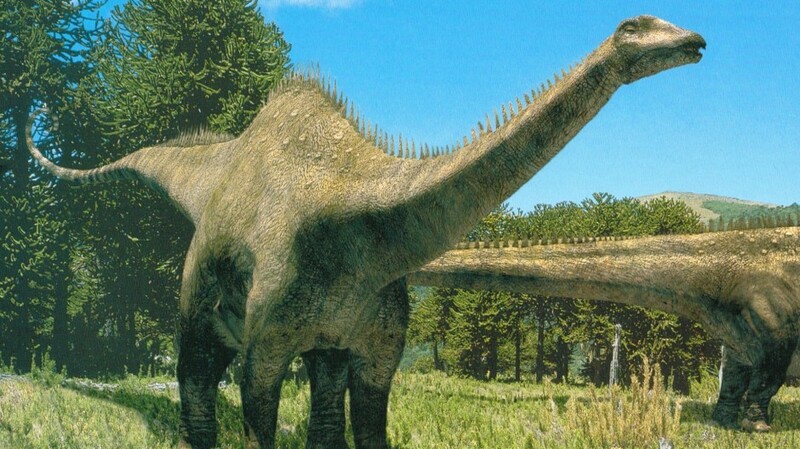 In terms of iconic dinosaurs, the gargantuan sauropods are certainly up there. Along with the mostly meat eating-theropods, and herbivorous and often armoured ornithischians, they form one of the three major groups, or clades, of dinosaurs, and were the biggest animals to ever walk this Earth. The end of the Jurassic period, some 145 million years ago, was a pretty important time for sauropods. Their diversity was already in decline through some of the latter part of the Jurassic, but it seems that they were hit pretty badly at the Jurassic/Cretaceous (J/K) boundary, in an extinction event that may have been quite severe among land and marine-dwelling animals. It was previously thought that diplodocids, a group of sauropods with narrow teeth, went extinct at the J/K boundary, along with other sauropods including most basal macronarians as well as brachiosaurids (the sneeze-prone ones from Jurassic Park) outside of North America. Other sauropod groups, such as rebbachisaurids and titanosauriforms seem to have been unaffected at the J/K boundary). This group-based selectivity of extinction suggests that there was a degree of targeting in extinction across the boundary, possibly as a result of different feeding styles or the environments which the different sauropods lived in at the time. But a new find now shifts this story in a different direction – diplodocids may have found refuge in South America after the boundary. A new genus and species, named Leinkupal laticauda, from Argentina is the youngest known fossil of this group. Its name is filled with sorrow – from the language of the Native American Mapuche nation of northwestern Patagonia, it means ‘vanishing family’, as it was truly the last of its kind. Dr. Phil Mannion, sauropod expert and conveniently my PhD supervisor, said that although this isn’t a spectacularly preserved specimen it’s actually really interesting for building the larger picture of dinosaur evolution for being “the first known diplodocid from South America, perhaps more closely related to African than North American and European diplodocids, and the first known diplodocid that survived into the Cretaceous.” In future, it’s possible that this dino will tell us quite a bit about the biogeography – how animals interact with their geography through dispersing and migrating – of sauropods, particularly in an important time when the supercontinent Pangaea was undergoing fragmentation into the continents we recognise today. It also sheds light on the geographical nature of extinctions at the J/K boundary, a time when many groups of animals may have been undergoing large-scale transitions. So while it is a new genus and species of dinosaur (there have been at least 5 in the last two weeks now), this is perhaps the one that gives us the most important information about reconstructing their evolutionary stories. This is the interesting part of palaeontology – we now have so many fossils that new ones just aren’t as important as they used to be individually. It’s what they’re telling us as a collective where their true value lies, as they are after all one of the best known, studied, and loved groups of animals ever. Definitely better than a new tyrannosaur anyway.